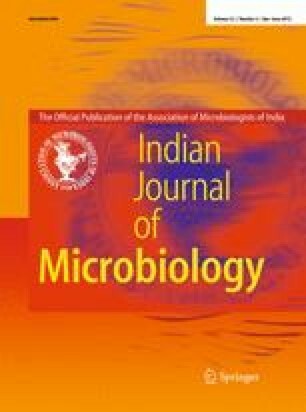 With the aim to explore the possible role of phosphate-solubilizing bacteria (PSB) in phosphorus (P) cycling in agricultural soils, we isolated PSB inhabiting naturally in the sandy loam soils under chickpea cropping of Patiala (Punjab State). A total of 31 bacterial isolates showing solubilizing activities were isolated on Pikovskaya agar plates. The potent phosphate solubilizers were selected for further characterization. These isolates were shown to belong to the genera Pseudomonas and Serratia by partial sequencing analysis of their respective 16S rDNA genes. ERIC-PCR based fingerprinting was done for tracking the survival of introduced populations of the PSB during mass inoculation of these strains under chickpea plots. The results showed positive correlation (r2 = 0.853) among soil phosphatase activity and phosphate solubilizers population, which was also positively correlated (r2 = 0.730) to available phosphorus. Identification and characterization of soil PSB for the effective plant growth-promotion broadens the spectrum of phosphate solubilizers available for field application. The authors acknowledge the supervision of Prof. Sunil Khanna, NIIT University, Neemrana-Rajasthan for this research work; and grant support provided by the UNDP-TIFAC, Govt. of India under the IT-SAP project.